Adult learning matters. There is now widespread agreement that modern countries depend on the creativity, skills and knowledge of the entire population for their prosperity. Many people talk of our future well-being in terms of a ‘knowledge economy’ or a ‘learning society’ in which every person’s ability to develop new capabilities will provide them with resources that will help them and the wider community to adapt and thrive. While in theory this makes lifelong learning into an exciting prospect, in practice this broad agenda is often reduced to a narrowly economic conception. 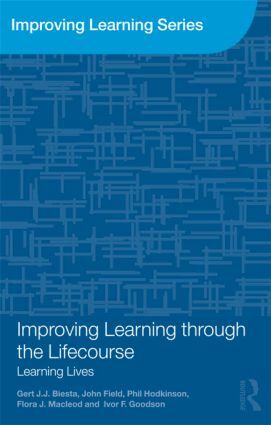 This book reports on one of the largest research projects into lifelong learning conducted in recent years. Through over 500 in-depth interviews with a cohort of about 120 adults who were followed for three years, the Learning Lives project has built up a detailed understanding of what learning means and does in the lives of adults. The project has generated insights in how learning has changed over time and across generations, what the connections are with the changing world of work, what differences learning makes for life chances, how we can learn from life and for life, and how people’s prospects of learning can be improved. Combining life history and life-course research with analysis of longitudinal survey data, this book provides important insights into the learning biographies and trajectories of adults. The book shows that learning means and does much more in people’s lives than is often acknowledged by current education policy and politics. In doing so, it is an invaluable resource for anyone with an interest in the role and potential of learning through the lifecourse. Gert J. J. Biesta is Professor of Education, University of Stirling, UK. John Field is Professor of Lifelong Learning, University of Stirling, UK. Phil Hodkinson is Emeritus Professor of Lifelong Learning, University of Leeds, UK. Flora J. Macleod is a Senior Lecturer in Education, University of Exeter, UK. Ivor F. Goodson is Professor of Learning Theory, University of Brighton, UK.